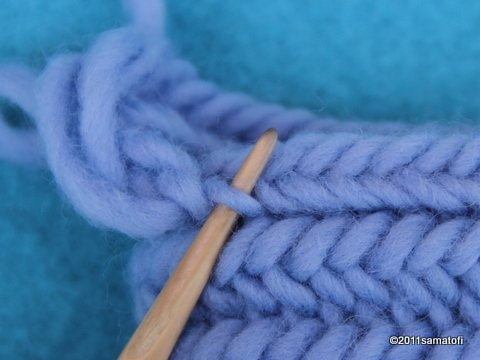 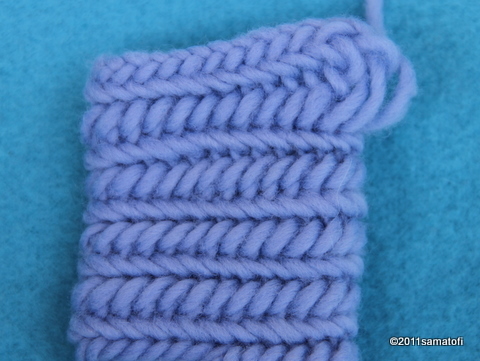 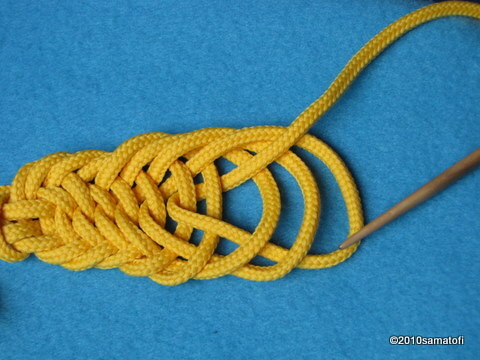 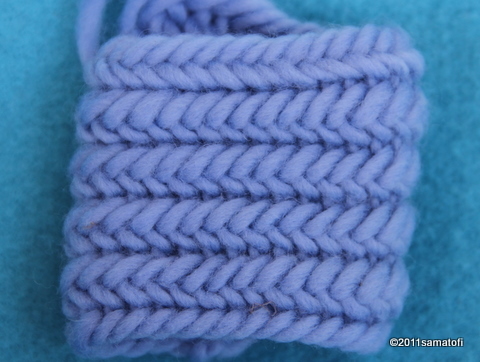 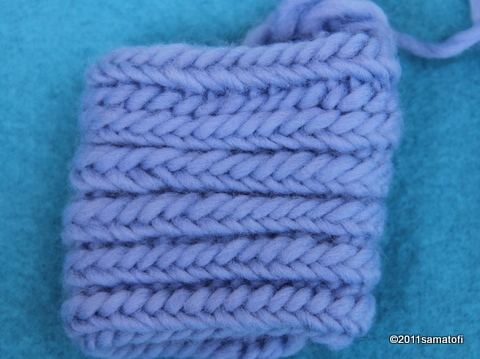 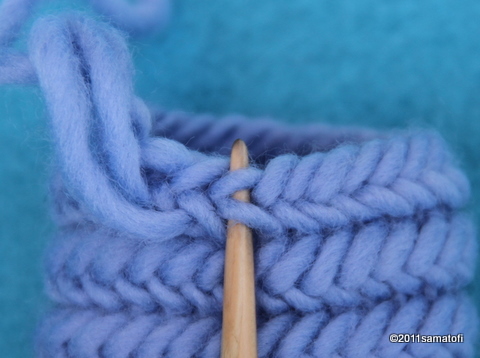 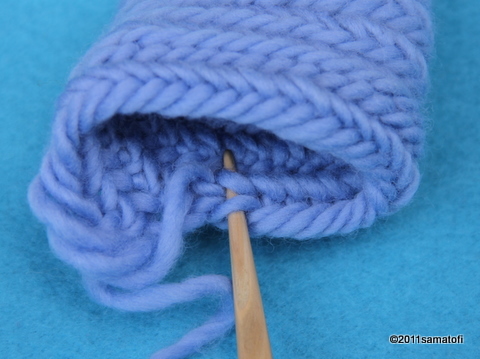 The most common nalbinding stitch type in Finland. 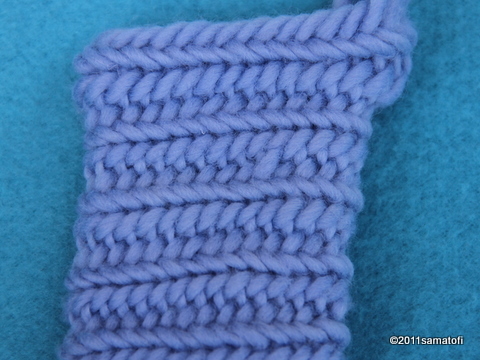 Below also photos for comparing how connection stitches affect the surface. 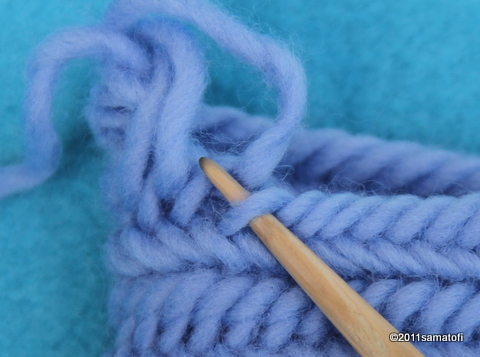 Includes how to start and make the first loops; joining a chain of stitches to a circle; second row and connection stitches (F1/F2); using thin yarn and tensioning the stitches onto the needle; how to make a round start; voiceover both in English and Finnish. 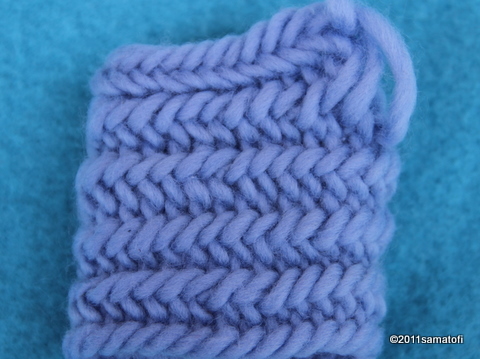 This stitch type (UUOO/UUOOO) is also the stitch that was used in the so called Eura nalbinding mittens ("Euran emännän neulakintaat"), reconstructed by Ms Krista Vajanto (link). 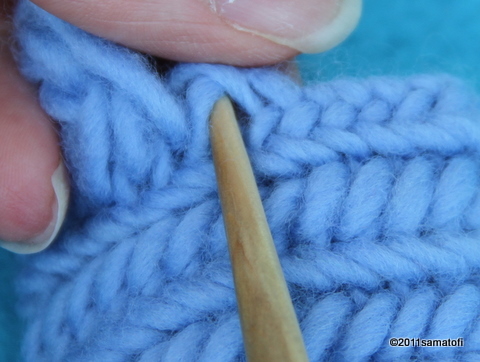 The oldest nalbinding fragments found in Finland date back to about 1000-1200 CE (Eura 1000 CE, Masku 1050 CE, Tuukkala two mittens 1200 CE both, Kaukola 1200 CE). 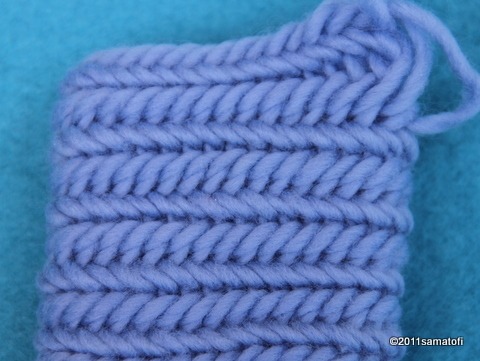 Studying the unders and overs of old nalbinding fragments is challening because the (Finnish) fragments are small, and some of them are quite felted, either in use or in the ground, so sometimes it is impossible to be sure which kind of nalbinding stitch was used. 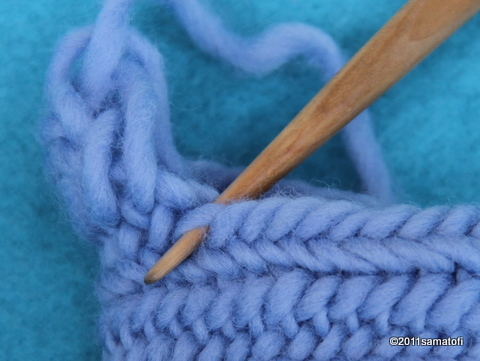 In those fragments the stitch type of which has been analyzed, the stitch has been the Finnish Stitch 2+2, except in Kaukola Kekomäki fragments (FS 1+2 M1), and the Tuukkala woman's mitten which possibly was nalbound with Finnish Stitch 3+2 (Vajanto, 2004).